Over in nearby Beaumont, they recently held a “Community Clean Up and Recycle Event.” They set up a drop off site at a local baseball field where you could bring by documents for shredding, scrap metal for recycling and furniture for donating. The window for this opportunity was a mere four hours on a Saturday morning. Not a lot of time. Plus, there is all that lifting and loading to contend with. 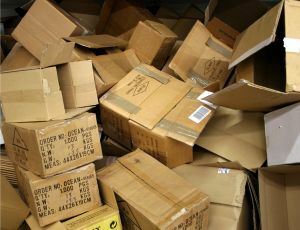 Unless you were throwing out a box of stuff, this really wasn’t the kind of event to help with your junk removal task. Instead, you need to leave that kind of job to the pros from Junk King. When you call Junk King to set up your junk removal appointment, you’ll be asked to provide a two-hour window that is convenient to your schedule. This doesn’t mean the job is going to take two hours to complete. That allows for the crews to get from one appointment to the other. You could use some of that time to find even more things that you want to get rid of! As you decide what you want to throw out, remember the Junk King crew will be doing all the work. That means any lifting or climbing of stairs will be on them. That same crew has been trained on how to dismantle the really big stuff. In the past, Junk King crews have sawed hot tubs in half and removed drywall from rooms. There is no limit to what they’ll get rid. Before the work starts, the Junk King crew will size up everything you want to get rid of. They’ll then present you with an estimation based on how much space your junk will take up on the back of the Junk King truck. You could be paying for one third, one half or the full load. Either way it is all about volume and not weight. That single fee includes all the labor and transportation. It also includes the recycling sorting. Junk King prides itself on its green junk removal policy. They strive to donate or recycle the majority of everything they collect. It is a little extra work on their end but a task they are happy to take on. This is why Junk King is the number one junk removal service in Yorba Linda. Put them to work for you today! This entry was posted in Junk Removal Yorba Linda and tagged Junk King, junk removal on November 20, 2014 by Junk King. Last updated July 31, 2017 .